David Marcus, the head of Facebook Messenger, recently announced he is heading up a new team exploring how to implement blockchain in Facebook. PSD2 has changed the banking space forever. Financial institutions have to share customer data with other companies - with permission from customers. That means third parties (think Facebook) will also be able to make payments on behalf of users without becoming a bank. Facebook has already dabbled in the payments space; hiring an ex-PayPal President and kicking off Pay by Messenger. Open banking presents far broader opportunities for Facebook. Is Facebook planning its own PokeCoin to challenge the ever-dropping cryptos of the world? Or, more likely, is it engaging blockchain to underpin the traditional payments it offers, much like Mastercard did last year? Facebook doesn't exactly have global respect when it comes to managing people's data following the Cambridge Analytica scandal. Is this a movement towards actively securing people's data on a decentralised ledger? Considering that, in 2017, 98% of Facebook's global revenue was generated from advertising I'm sceptical that the company will move away from having access to the thing that makes it the most money. It's a nice idea though! Facebook has been getting a lot of flack in the press lately, and it must be hard to attract talent to an organisation that works primarily in adtech. Much in the same way it invested in Oculus VR - perhaps it's just because it's "cool" and reinstates Facebook as on the edge of ground-breaking technology. So what do you think is the most likely explanation for this foray into the technology that has been heralded as big as the internet? I believe that, while it's unlikely that Facebook is heading towards an ICO, it is most likely thinking about the blockchain as a tool to support payments. Marcus does come from a payments background after all. But if not, perhaps Facebook is just hedging its bets? After all, a tech giant that gets left behind will very shortly not be a tech giant. 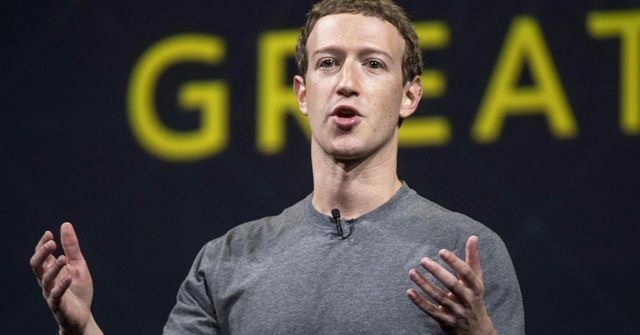 On Tuesday, Facebook offered its most significant acknowledgment to date that blockchain is real and not just an overfunded science experiment bolstered by the hype around bitcoin.